Are you looking for a way to get rid of stretch marks easy and painlessly? 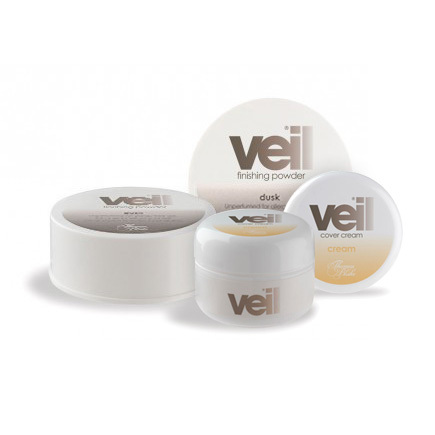 Veil Cover cream is a full coverage waterproof alternative that will make you feel completely comfortable with the skin you’re in! Stretch marks appear all over the body and can be the result of rapidly stretched skin. Usually occurring after sudden growth or weight gain, causing the middle layer of skin to stretch quickly. Rather than the skin stretching slowly over a period of time the rapid stretching causes the skin to tear and, as a result, is left marked. When tears occur in the middle layer of the skin, the blood vessels below show through and this is why stretch marks have a purple or red appearance when they first surface. Slowly, over time, the blood vessels reduce in size and the pale fat below the skin’s surface becomes visible. As this process happens the skin will then change and the stretch marks will appear to be a silver or white colour. Although stretch marks are very common, they are mainly associated with women during pregnancy. But men are just as much at risk of developing stretch marks. Anyone with a family history of stretch marks may notice the appearance of marks on the skin. Also for anyone with underlying health conditions such as Cushing’s and Marfan Syndrome. Once the stretch marks are noticeable they can cause an undesirable physical appearance for both females and males. Thankfully, most stretch marks fade over time so treatment isn’t always necessary. Finding a way to cover up the stretch marks is often the best way to feel comfortable. Veil Cover Cream is full coverage waterproof foundation perfect for everyday coverage or for a special occasion. Stretch marks can appear anywhere on the body which can be annoying if the area is visible in certain clothing – such as the upper arm or back. 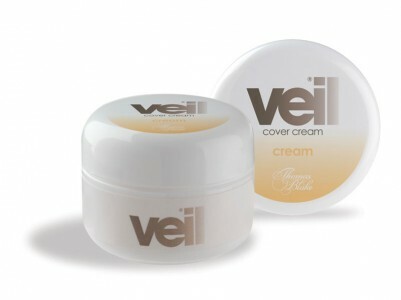 Apply a small amount of Veil Cover Cream to the affected area and feel comfortable about your stretch marked skin. Do you have stretch marks? How do you feel about them? Let us know! Summer Shades – How to blend the perfect summer colour match! Don’t forget to order your Finishing Powder too!